An aura of tranquility embraces you as you enter the precincts of an Ayurveda Health Centre. The sweet aroma of freshly brewed herbal tea sooth your senses as you take a sip to calm your nerves and prepare for the holistic experience… the natural way. The in-house Ayurveda doctor feels your pulse and identifies the treatment best suited to you. You are also advised on how to maintain your health and beauty. You are clensed, exfoliated, massaged and wrapped in a rich herbal paste of flowers, bark and leaves and rested, for juices to seep into your body and enrich your soul. 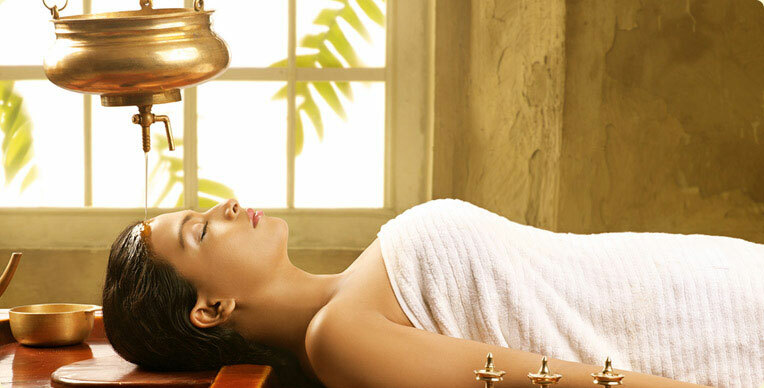 The history of Ayurveda goes back as far as 1500 B.C. With the arrival of a branch of Indo-Europeans in India. Here they developed a great culture rich in many aspects. The religious ideas and philosophical thinking of these people are found in their holy texts – the Vedas. Namely the Rigveda, the Yajurveda, the Samaveda and the Atharvaveda. These texts are replete with data pertaining to botany and zoology and these ideas gradually gave rise tot their medical science later famous as the Ayurveda. Ayurveda means the science of longevity. Almost all prescriptions used in curing are produced by raw materials found naturally and no artificial substances are used. These would come from roots, stems, barks, leaves, flowers, seeds, fruits & nuts of many a plant. From animals: milk, honey, pearls, musk, shells and from earth: iron, gold, silver & copper are used. Ayurvedic drugs do not harm the organs of the body and do not give rise to any side effects. 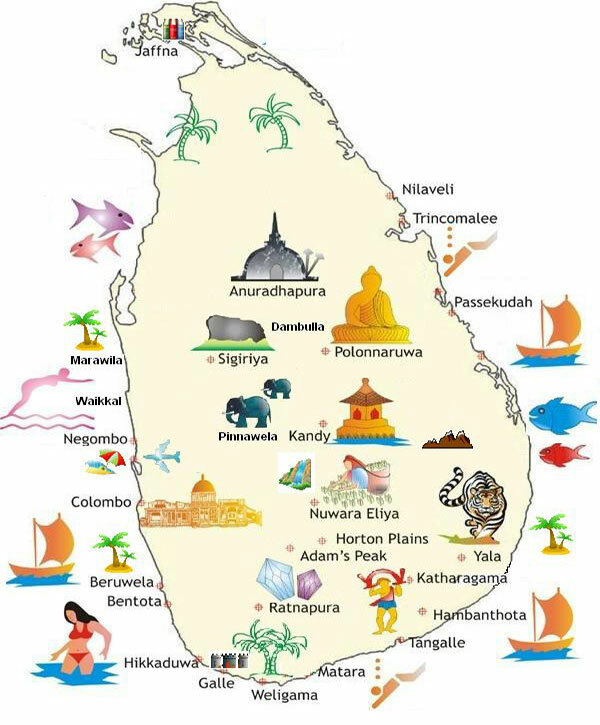 Ayurveda or indigenous medicine as practised in Sri Lanka and India has drawn the interest of the West for quite sometime. A tourist is initiated to this great form of medication through Ayurvedic Health Centres, Health Spa’s and Wellness Centres they frequent while on tour in our island. Most of the treatment practiced in these centers are based on Ayurveda and in some centres Japanese, Chinese & Thai methods of therapy as well as Aromatheraphy are used. Treatment is always administered under the guidance of an Ayurvedic medical practitioner or experts in Spa method treatment. Combining the Ayurvedic form of medicine gives you not only relaxation of the mind and body but will also treat the organs of the body to function properly through the administration of drugs using natural ingredients in relieving deep seated diseases as well as maintaining good health. Nourishes the scalp, enhance hair growth, triggers the body’s natural healing process. Relieve tension, migraine and headaches, common symptoms of stress. A wonderful way to condition hair. You lie down on a specially made wooden bed and a pot of oil is hung above the head. A thin line of warm oil is made to fall on the forehead swinging from side to side slowly. It calms the central nervous system improves mental clarity and triggers the release of trapped energy through the body. an excellent method of treating respiratory problems. A towel is placed over your head and you are made to breath herbal steam from a pot or bowl deeply. Nourishes the face muscles and improves complexion. The face is steamed first and a specially prepared herbal cream is applied. Boosts the circulation system, removes wrinkles and improves complexion. Is applied on the body with the palm in a gentle massage. Promotes longevity, strength, good skin tone, relieve fatigue, tones up the eye sight and relaxes the body and mind. This is the classic herbal treatment triggering the body’s natural healing process by using lymphatic massage and herbal oil to stimulate the flow of blood and lymph fluid. All foot massages are beneficial and relaxing. But reflexology provides a more specific method of working to diagnose problems and stimulate health in the whole body. Relieves aches and pains, ease mascular spasms and mascular rheumatism to impart strength, good complexion, and longevity. Herbal oils or creams are used to tone the body and improve blood circulation. Rice is cooked in a special way, filled into small pouches made of cotton and applied as a specific body massage. Heated medicated oil is collected in a cloth or natural sponge and squeezed on to the body and gently applied on the body of the patient by a masseur/masseuse. Is a unique treatment where leaves of special medicinal plants are boiled and the steam is passed on the whole body. Final stage in the Ayurveda Herbal treatment is the herbal water bath. Hot or cold water in a tub with herbal extracts is used for this bath which cures rheumatism and skin diseases. Hot or cold water in a tub and flowers in water is prepared for the herbal flower bath. Lie in an herbal flower bath for 15-20 minutes, soaks out all the tension in your body.